An innovative high-tech product with unparalleled features, the HUAWEI Y9 2019 introduces the new generation notched 6.5” FullView Display Screen that offers users both a wider view and ultimate control of their visual experience. Equipped with 2340 x 1080 high resolution, the 6.5” FullView Display Screen delivers new horizons of visual immersion for user whether they’re gaming, watching shows or doing regular activities on their smartphone. The 4000mAh battery capacity of the HUAWEI Y9 2019 supports smart power optimization for comprehensive power-saving technology. With its long-lasting endurance, it can sustain up to 52 hours of calls, or 65 hours of music, or 9 hours of gaming, or 14 hours of browsing bringing users an extended enjoyment experience. HUAWEI Y9 2019 features the latest Kirin 710 octa-core chipset. Comparing to its last generation, single core performance has improved by 75% and multicore performance has improved by 68%, so gaming is faster and smoother than ever. To meet the entertainment demand of users, HUAWEI Y9 2019 brings upgrades and development in gaming and video features. The Kirin 710 chipset on HUAWEI Y9 2019 works together with Huawei's unique GPU Turbo technology which doubles the GPU efficiency and increases basic performance by 1.3x, allowing smooth and high-quality gaming experience. 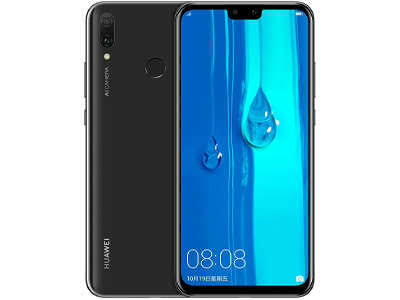 Besides the impressive FullView Display, Battery capacity and Kirin 710 octa-core chipset, HUAWEI Y9 2019 features Quad Cameras with AI capabilities, Finger Print Sensor, EMUI 8.2, 4G Network, Android 8.1 and a sleek and elegant design that offers outstanding performance and good value for money. 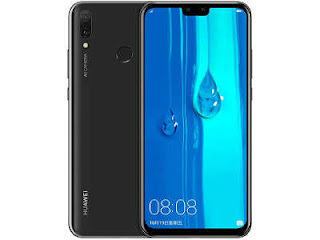 The HUAWEI Y9 2019 is available in two colors -Sapphire Blue and Midnight Black and can be purchased at Jumia, Slot and leading retailers nationwide.